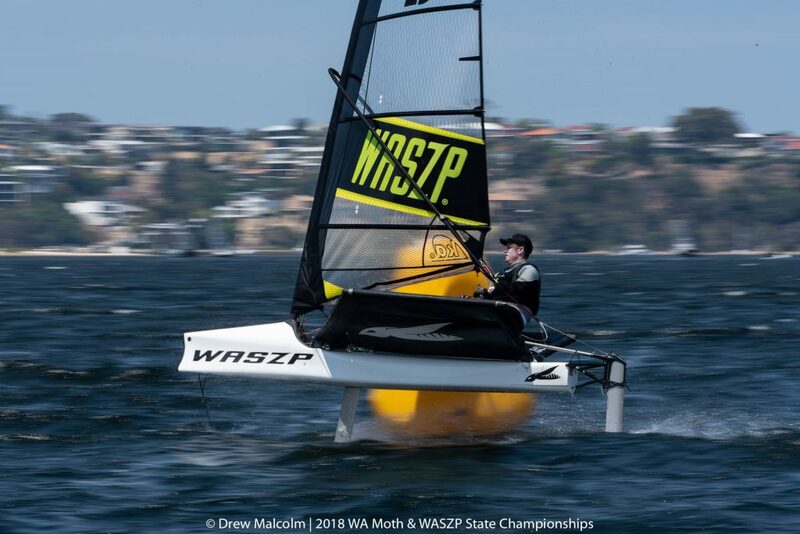 Day 3 of the WA WASZP States was the perfect way to end an amazing weekend of WASZP racing, with the breeze peaking at over 20knots the WASZP really came into its own. 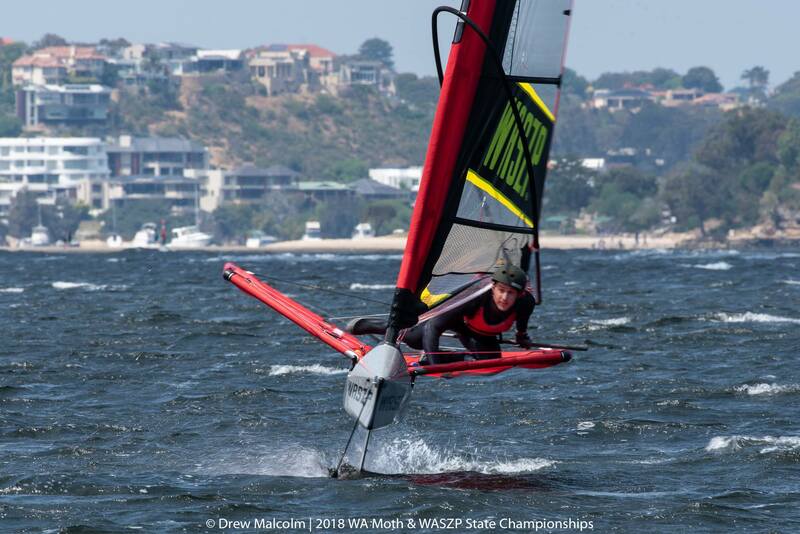 With the championship on the line it was all to play for at the front, while the standard of the fleet had improved significantly across the weekend with many sailors beginning to find their feet in this exciting one-design class. The first race of the day was sailed in a puffy 10-12knots from the south that had some large holes in it making it challenging for the fleet. Tristan Brown unfortunately sustained some damage on the way to the top mark and had to retire from race 1, which was won comprehensively by young star Aaron Delongville, followed closely by the rapidly improving Dave Von Felton. 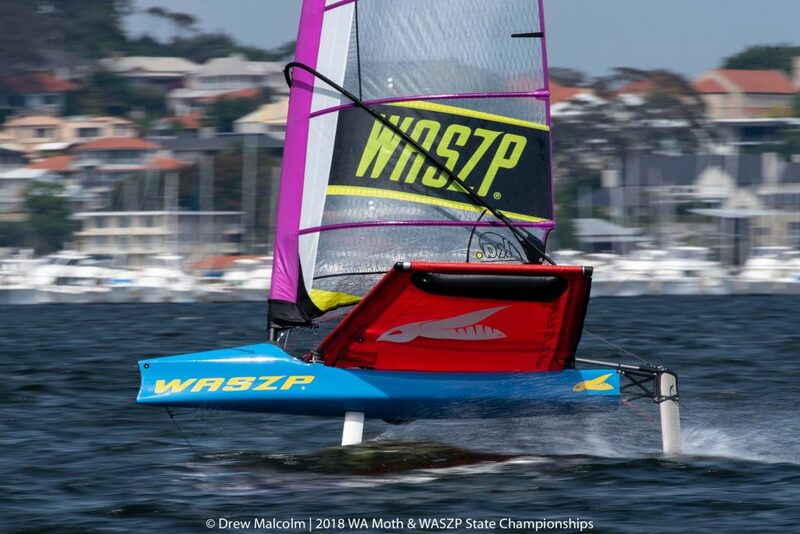 Brown however made it out for the 3rd and 4th races of the day still with a shot of winning the title after Delongville claimed 2 heat wins to start the day. As the breeze increased it was evident Browns international experience shone through claiming the final 2 heats to win from a very gallant Delongville. 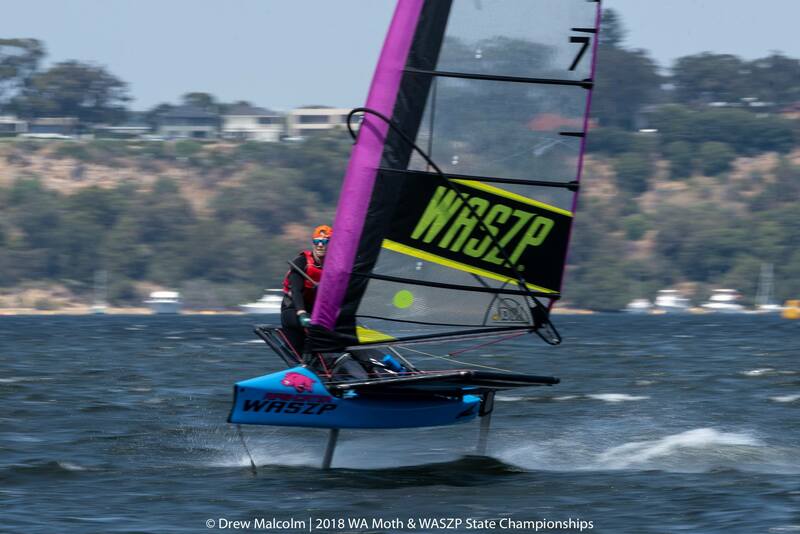 The excitement amongst the sailors was evident as this really is perfect WASZP conditions, hard and fast, there were some great battles right down the fleet, highlighted with Grant Alderson claiming a very competitive masters division. While the younger kids on the 6.9m rigs were extremely quick in the heavy air, Jamie Bougher and Tommy Devine had a sensational battle with Devine winning the 6.9m by 1pt.